At every turn, in this cracker jack of an episode, just about every member of our beastie team has to make a choice and pick a side. Forever loyal JT is hurting from losing his best friend and when Tess storms into his apartment, she finds him passed out on the couch, with a half empty whiskey bottle and bag of gummi bears. Tess is frantic about her missing friend and she persuades JT to meet up with Vincent, who is still on the run and in hiding. Vincent is the only one who can track and find the kidnapped Cat. Tess is clearly conflicted. Cat is missing and later seen with Vincent, helping him. JT is arrested and interrogated. Even though Tess forces Gabe to release him, she sees the terrible risks the people she cares about are taking. Gabe implores her to pick a side, to uphold the law and help him protect Cat, and for a moment she hesitates. Tess has often been the voice of reason in the team; the one least caught up in the passion, the blind loyalty. You can see her weighing the options, the goals. She is a cop after all and she wants to do the right thing to protect her loved ones. In the meantime, JT plays decoy, gets arrested and later hacks into Gabe’s computer to try to stay a step ahead of the investigation. Vincent worries at the risks his friends are taking for him and he realizes that running away perhaps isn’t the answer anymore. It is time to take a stand and face things head on and together. Gabe certainly has taken his stand. He is not pretending anymore; he wants Vincent not just caught, but eliminated. He has set up a task force that casts a city wide net in order to accomplish just that. He is self-righteous and more than ever he is convinced that he is doing the right thing by Cat. He may have persuaded himself he is doing this for justice, but in his obsession, he is becoming more and more dangerous and single minded. It is clear that he will stop at nothing to accomplish his goal. Catherine escapes her kidnappers, who turn out to be FBI agents. They want her help to rescue a fellow agent who is being held hostage in the UN after a botched undercover mission. It is an almost impossible task and Cat only agrees after Vincent gets an offer of complete exoneration. The successful rescue operation is pretty spectacular and ends with Catherine and Vincent crashing through a window and jumping into the East River. Kudos to the stunt and VFX teams for some great action scenes. Of course, once again, the FBI burns our heroes and rescinds the exoneration offer, due to pressure from the DA’s office, meaning Gabe. In the end, our friends choose to stand together. Tess decides to feed Gabe false information, with JT’s help, to send him off Vincent’s trail. She even confronts Gabe and tells him she has chosen a side and it is not his. I’m with JT when he tells Tess he never doubted her, but I do believe she doubted herself, if just for a little bit. Catherine confronts Gabe, with a well-deserved slap to the face, and tells him she sees through his façade. Maybe some beasts do get worse and are irredeemable. At the end of the episode, on their roof, Vincent laments that they are back where they started a long time ago. “Me hiding in the shadows. You hiding me.” “At least it’s romantic”, Catherine answers. “Stolen moments, secret love.” She does see a future for them, and it is together. This is indeed a reset to the early days of Beauty and the Beast, and I, for one, welcome it. Vincat is back together, with romance and secret unwavering love. The team is reunited and I can see a future of them going on almost impossible undercover missions together; JT with his loyalty and smarts, Tess with her sense of justice and reason, Vincent with his passion and beastly senses and Catherine with her bravery and all around bad-assery. This is the way forward for not only the beloved friends, but for the show. It makes me excited for season three. What did you think Beasties? Did you love all the J-Tess bickering as much as I did? Austin Basis and Nina Lisandrello make gold out of their scenes together. Are you wondering, like I am, about JT’s alcohol infused dreams, apparently about a moose that was on him? How do you feel about Gabe? He is going very dark and from the previews it looks like he is turning his wrath on Catherine. Are you excited about this reset to the BatB of old? Let us know in the comments below. You always have a way of seeing the bigger picture, and picking out the themes and patterns for the stories and characters, like this episode being about making tough choices and picking sides, and Tess’s character being about reason and less about passion and blind loyalty. I always enjoy reading your reviews because you help me see more in the episodes than I saw myself. I’m also really happy with the reset. I think the show now has the best of both worlds. Season 2 got rid of some of the dead weight (the procedural aspect, the relationship between Tess and the captain, the sister) but it also got rid of some of the heart and soul of the show (the romance between Cat and Vin, and the bromance between JT and Vin, the Scoobie Gang working together.) But now they’ve got the heart and the soul back, and minus the dead weight, so the show is now at its very best, full of the things we love, and without the things we don’t. Thanks Michele! I am so glad you enjoy reading my reviews and I appreciate you taking the time to comment. 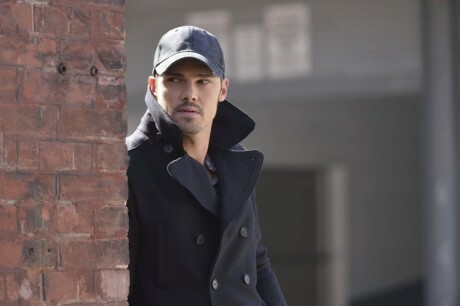 I agree that this is a leaner meaner BatB and I am enjoying these new episodes so much. It gives me great hope for the new season!